At the beginning of 2018, I made a vow that I would try more products from Too Faced, it was a brand I'd always wanted to try but hadn't and so when Arran bought the Too Faced Chocolate Bar palette for my birthday, it seemed like the perfect time to do just what I'd said. 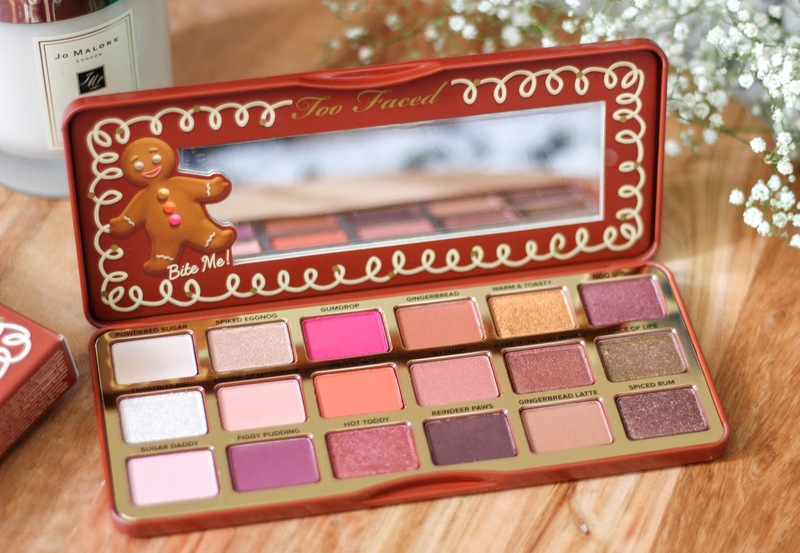 I now own five Too Faced palettes and really love the formula of the eye shadows so when they launched the Gingerbread Spice palette as part of their holiday collection, I needed to get my hands on it but that seemed more difficult than first thought because it was sold out everywhere online. 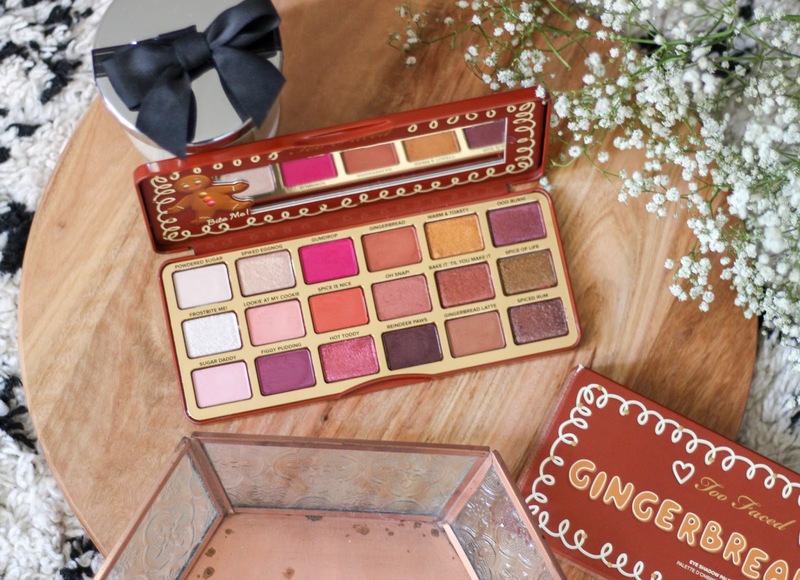 Thankfully, the oh so lovely Chloe of Lady Writes managed to track down the palette in London for me so for the last few weeks, it has been my go to. 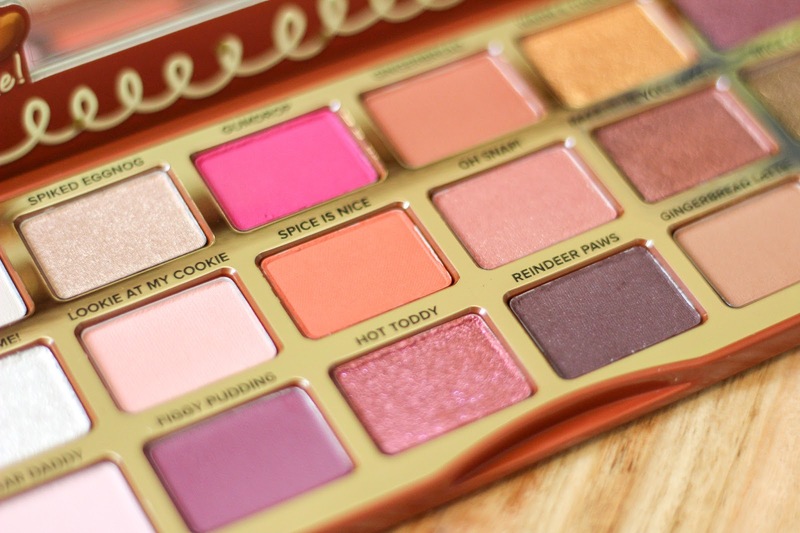 It is every bit as beautiful as it looked and I am so glad I finally have my hands on it because if there was ever a palette made for me, this would be it. 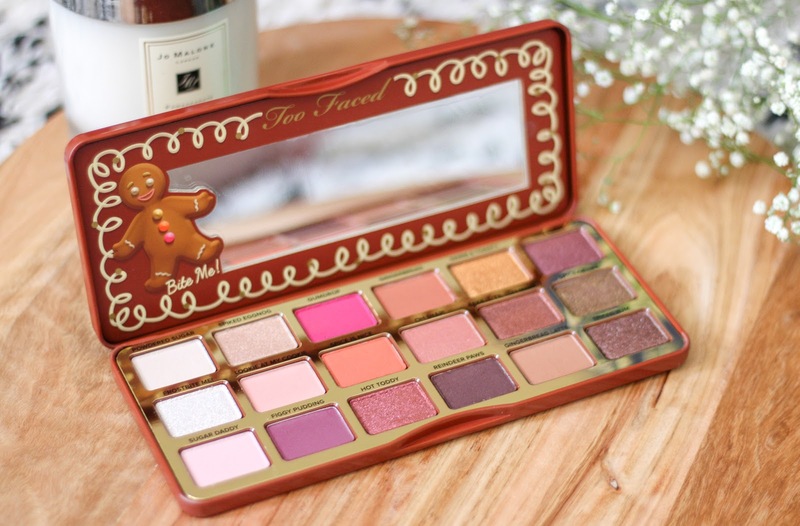 The Too Faced Gingerbread Spice palette is housed in a tin palette, much like the chocolate bar palettes and inside you'll find eighteen beautifully warm shades in varying finishes each with the scent of freshly baked gingerbread. 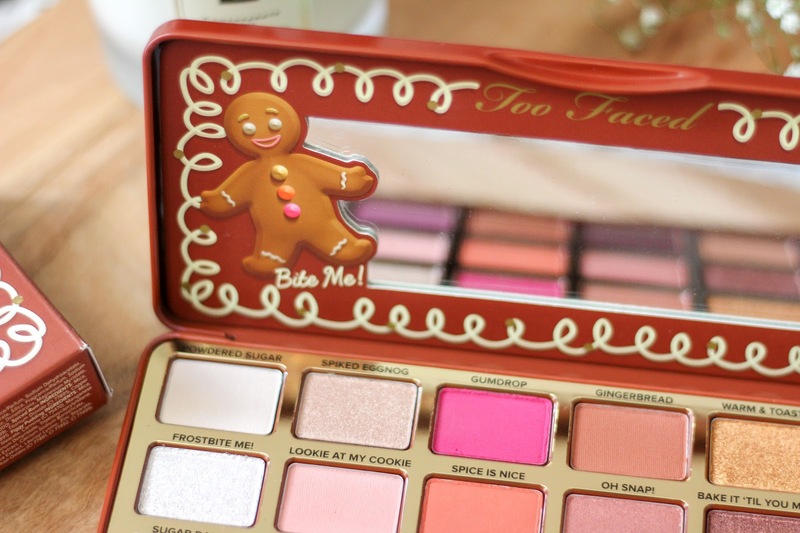 My only concern with this palette was the scent but I'm happy to report it has a subtle sweet scent and a little less gingerbread and is in no way overpowering. I still prefer the chocolate palettes for scent and I think I always will. The formula and quality of Too Faced shadows are outstanding and something I really love about them, it's not unknown that I have a big thing for Urban Decay purely because of the formula of their own shadows so to find something to match that, if not be better than that is a big thing for me. 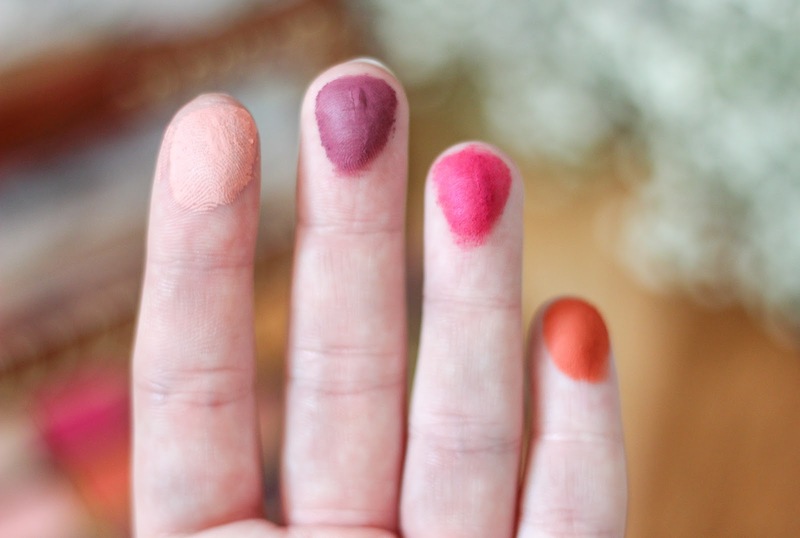 They're super soft, easy to blend and with little to no fall out (apart from the mattes although it's very minimal) and with eighteen shades, you get a lot for your money in comparison to some others on the market. The shades are incredible, there's a good mix of matte, shimmer and metallic shades which all compliment one another meaning you can create so many looks from just this palette. Even the shades I thought I wouldn't use such as the pinks and purples have worked their way on to my eyes for a pop of colour! 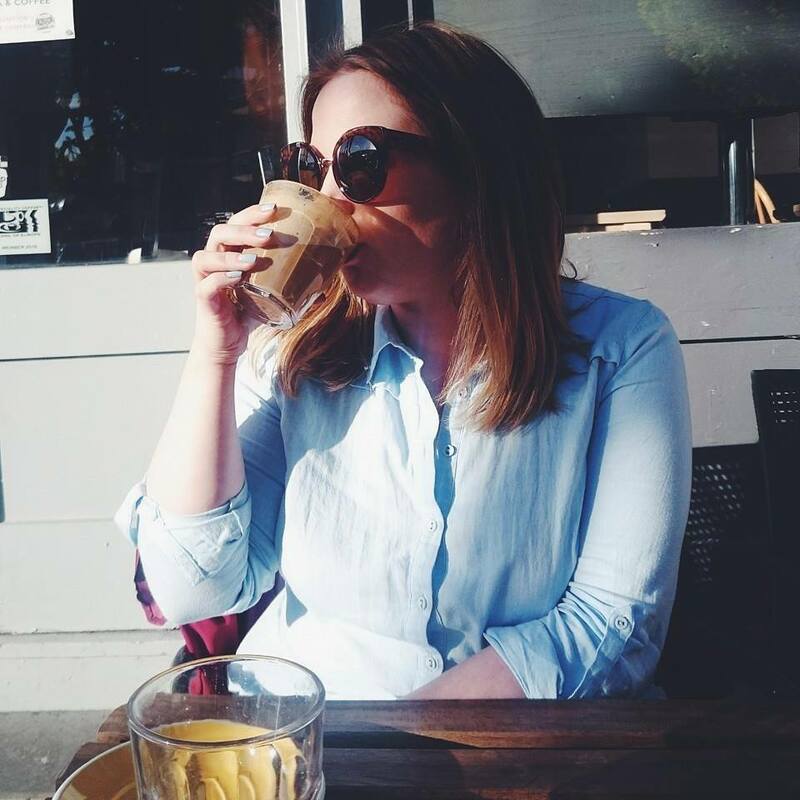 Powdered Sugar, a soft beige matte is what I use all over the lid after eyeshadow primer to set my base colour, I've then been going in with Look at My Cookie, a salmon pink matte or Gingerbread Latte, a warm beige matte on the lid. 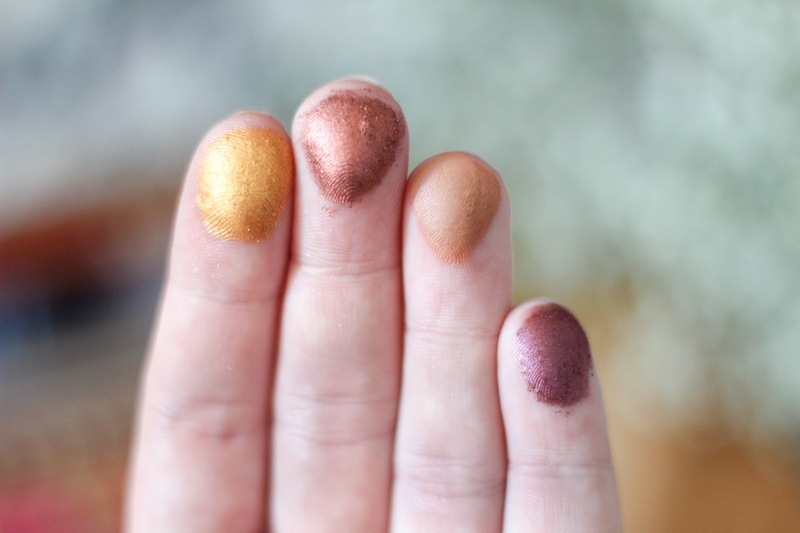 Spiked Eggnog, a beige shimmer is perfect for the inner corner while Hot Toddy, Spiced Rum and Bake It 'Til You Make It are my go to shades for my outer eye. I really do love this palette, the shades are so usable, even Gumdrop, a metallic pink which I've added to the outer corner of my eyes a few times now. IF you can track this down and get your hands on it then do it, seriously do it because it's hands down my favourite to use at the moment. 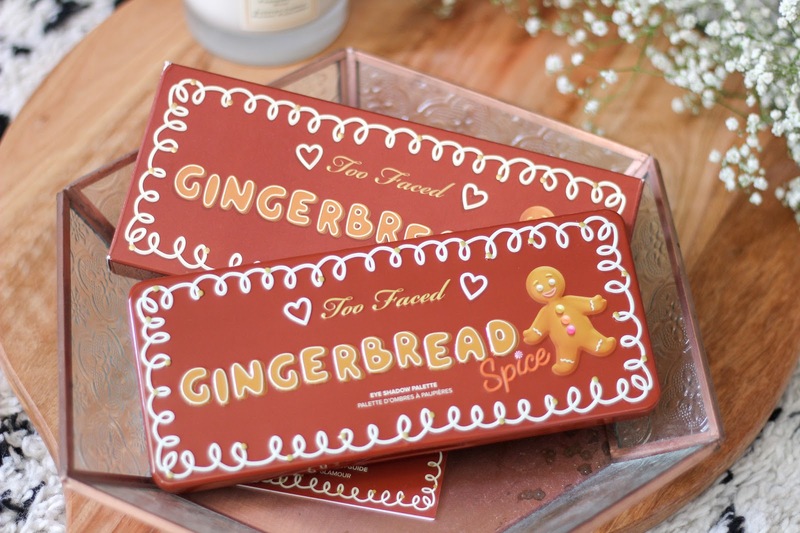 Every time I pick up Gingerbread Spice I'm wowed all over again by the beautiful shades inside. Whether you're mixing subtle browns and candied shades for a low key day time look or upping the glamour with those oh so beautiful golds and bronze shades to pair with that show stopping Christmas party dress, there really is a look for everyone. I'm so glad I have this in my collection, so glad! I wanted to purchase this palette the moment I got it and I'm so happy I did. It's such a gorgeous palette, I love every shade. Gumdrop and Hot Toddy are CALLING ME, they're so beautiful! I love that palette so so much! The shades are just incredible, I love them, SUCH a good palette. Oh my days! What. 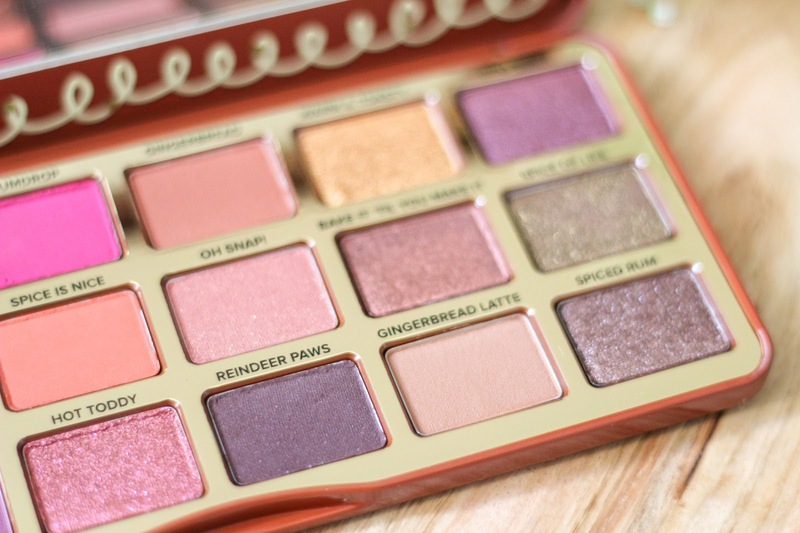 Gorgeous palette! I think I’ll need to add this to my wishlist! I think there's only a few colours in the palette I'd actually use to be honest! I wish I could smell this through the screen! Those swatches look so so good!